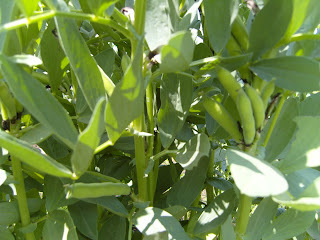 Interesting to watch Fava Beans grow....... remind me of bananas. Those look lovely! Did they taste good? They certainly do... From what I heard of your garden, it reminds me of the great times we had in our grandma's garden when we were young. Still amazes me how big and beautiful it was! !